At the same time, is simple and logical. Employee engagement can be the safest, quickest and cheapest way of transforming an organisation, delivering step-changes in efficiency, quality, employee morale and profitability in businesses ranging from local authorities through to the smallest manufacturers. 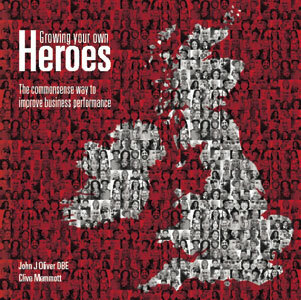 GROWING YOUR OWN HEROES is your key to greater organisational prosperity.